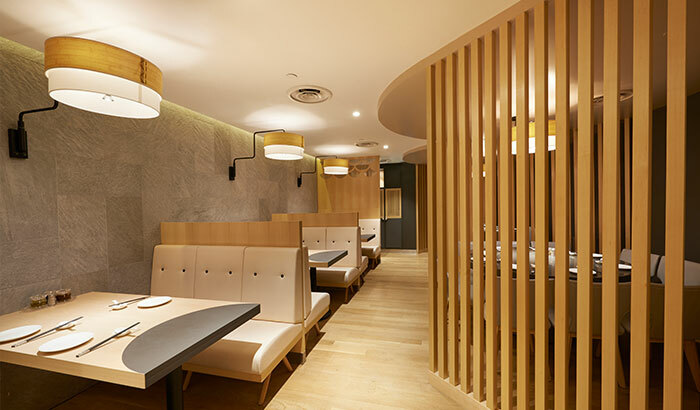 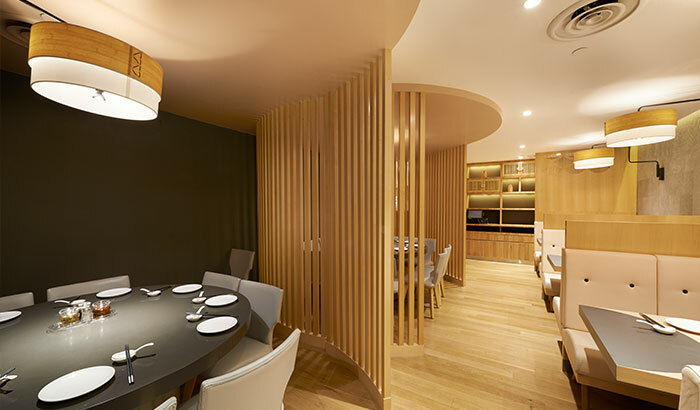 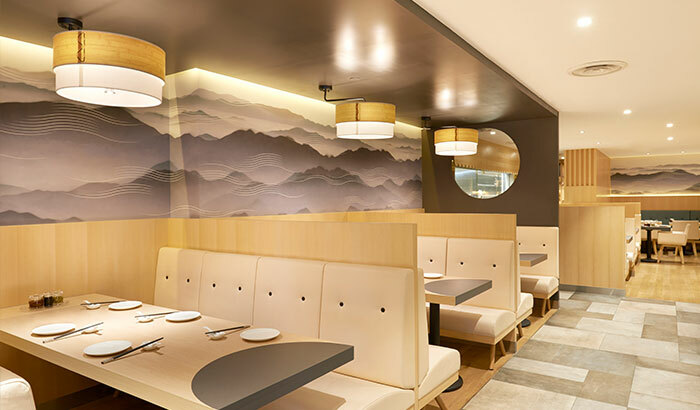 Neutral tones and modern abstraction of Chinese art incorporated into a casual dining Chinese restaurant. 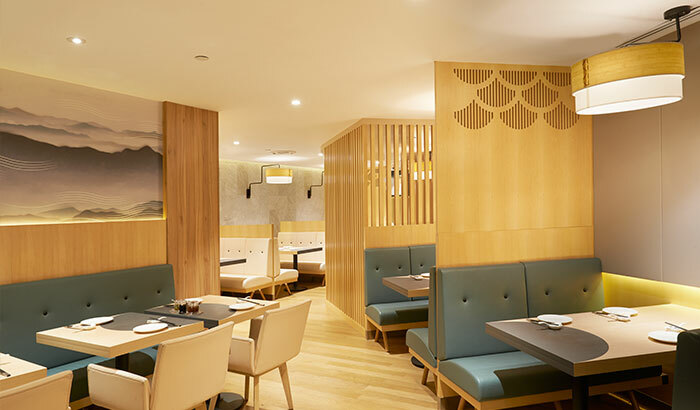 The casual dining arm of the Imperial Treasure Group features quality ingredients prepared into everyday Cantonese-style small bites, dim sum, noodles and porridge suitable for any meal at any time of the day. 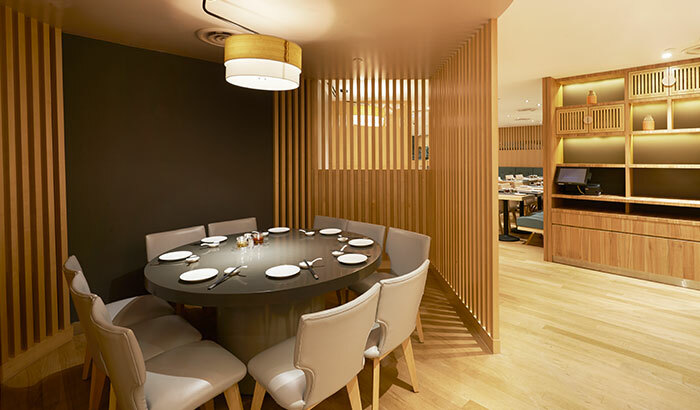 At Imperial Treasure Raffles City, casual Cantonese dining is manifested through a neutral colour palette that incorporates modern abstraction of Chinese art to give a refreshing dining experience. 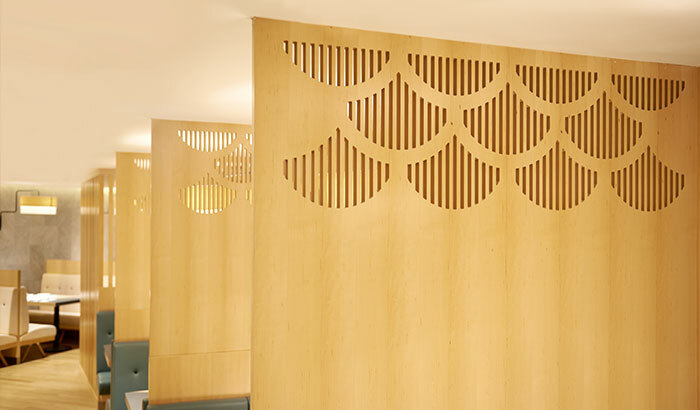 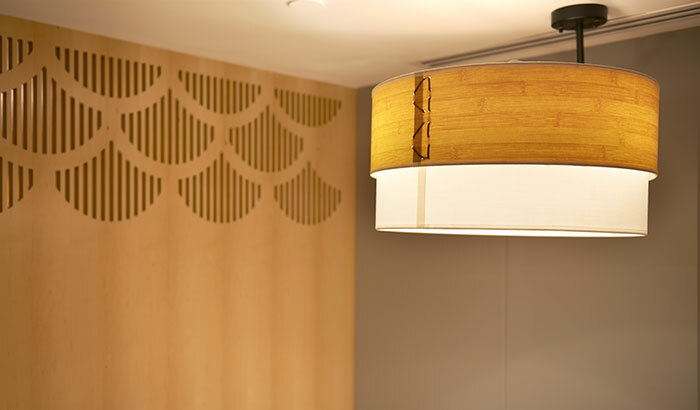 The ubiquitous traditional dim sum steamer took a modern depiction as decorative lights in the restaurant, while wallpaper inspired by Chinese paintings were reinterpreted in a contemporary fashion.